CANTON, Ohio, August 2, 2018 – US Acute Care Solutions (USACS) today announced Alejandro Baez MD, MSc, MPH, FACEP, FCCM has joined the company as Medical Director at Florida Hospital Tampa. 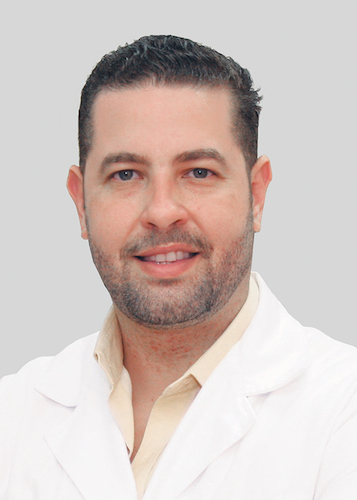 Dr. Baez most recently worked as Chief of Emergency Medicine at Kings County Hospital in Brooklyn, one of the busiest emergency medicine departments in New York City. Preceding that, he served as the founding residency program director at Jackson Memorial Hospital. He was the Chair of Emergency Medicine and Critical Care at Hospital General de la Plaza de la Salud in the Dominican Republic. Prior to that, he was the Associate Director of Emergency Medical Services at Brigham and Women’s Hospital/Harvard Medical School. An internationally recognized physician-leader, Dr. Baez completed residency at Mayo Clinic, and a Critical Care fellowship at Brigham and Women’s Hospital/ Harvard. Dr. Baez holds master’s degrees and postgraduate studies in Public Health, Healthcare Management, Leadership and Informatics. As an academician, Dr. Baez has authored more than 100 research studies, published three books and lectured in more than 15 countries. His work has focused on decision science, critical care and disaster/operational medicine, with recognition and awards granted by the Pan-American Health Organization, the American Medical Association, the Society for Critical Care Medicine, Harvard Medical School and the American College of Emergency Physicians. “Dr. Baez is a celebrated academic clinician and proven leader, and he will be a tremendous addition to the team at Florida Hospital Tampa, a flagship facility in the USACS portfolio,” said Linda Lawrence MD, President of the Southeast/West region of USACS. Founded by emergency medicine physician groups in Colorado, Florida, Maryland, Ohio and Texas and capital partner Welsh, Carson, Anderson & Stowe, USACS is the national leader in physician-owned integrated acute care, including emergency medicine, hospitalist and observation services. USACS provides high-quality emergency and hospitalist care to over 6 million patients annually at more than 200 locations and is aligned with leading hospital systems across the country. Visit usacs.com to learn more.